How to access from Fukuoka airport to downtown Hakata and Tenjin. Some of you may arrive at Fukuoka International Airport (FUK) from your countries directly. You may transit at Haneda and take domestic flight to Fukuoka. I have received questions about Fukuoka airport and Hakata (博多) station. I have just visited Fukuoka airport by subway. I would like to share what I got with you. 2 If you think about exchange Japan Rail Pass at Hakata station after arrival at Fukuoka. I think Fukuoka airport (FUK) is most convenient and accessible airport in Japan. Most of airports in Japan are away from downtown core for more than 30 minutes. But Fukuoka airport is only 5 minutes and 2 stations away from Hakata. Another downtown core in Fukuoka, Tenjin (天神) is away for 11 minutes and 5 stations. 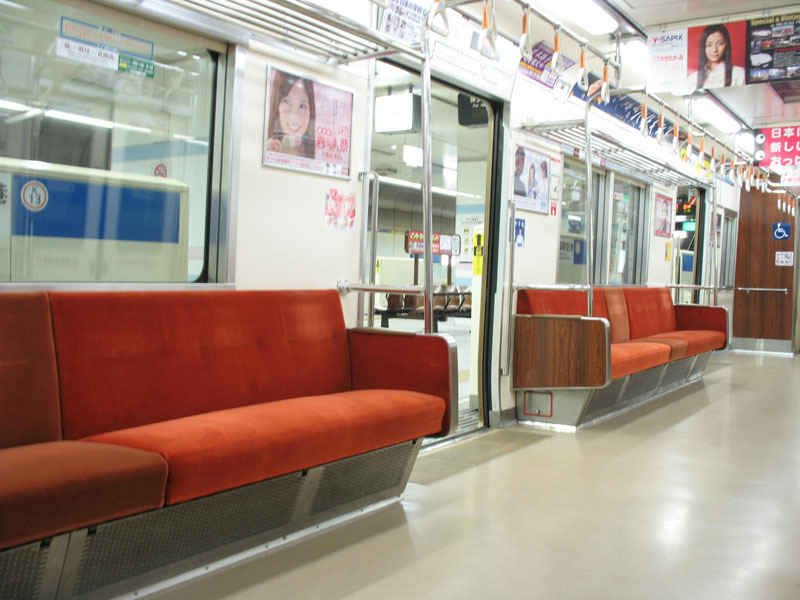 As of March 2012, the fare is 250 yen from Fukuoka airport to Hakata or Tenjin. 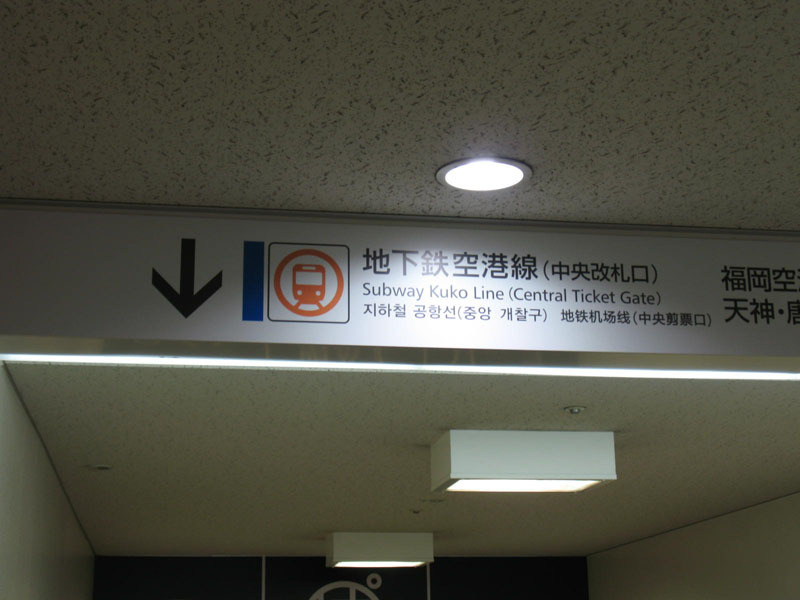 If you need more information about Fukuoka Subway, please check the website. I estimate the actual required time from the time of flight arrival time to the time of Hakata station arrival time is 30 minutes. I usually spend 20 minutes to get off the flight and pick up the baggage. Language barrier is not big issue at the airport. So it takes another 10 minutes to buy ticket and take train. 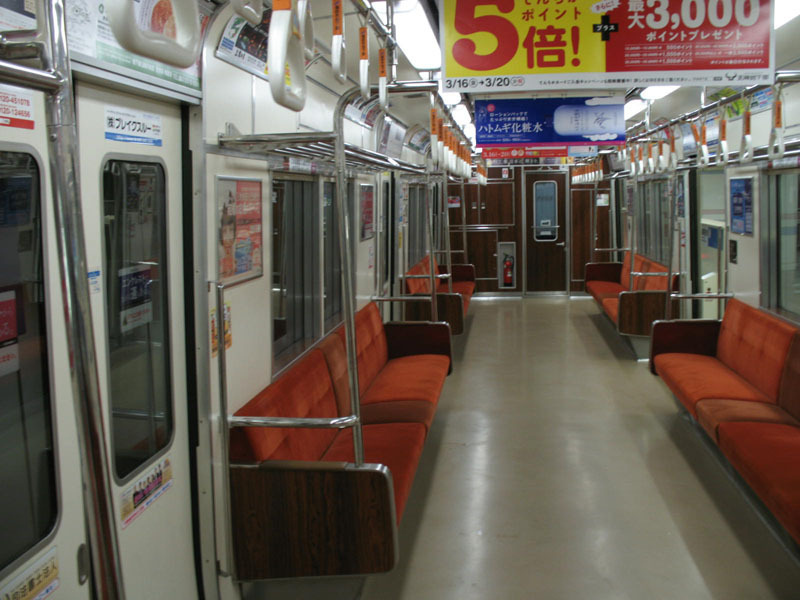 Subway trains are operated every 5 to 10 minutes. However this time required is for the case of domestic flight arrival. If you arrive by the international flight, you need to spend at least another 15 minutes because the international terminal is located at different from domestic terminal. Free shuttle bus connect both terminal in 15 minutes. This shuttle is operated every 6 to 10 minutes. And also you need to clear custom and immigration. I estimate to do this for 45 minutes at least. So you may spend more than 1.5 hour to get Hakata station in case of international flight arrival. If you think about exchange Japan Rail Pass at Hakata station after arrival at Fukuoka. There are several ticket gate at Subway Hakata station. Hakata station is the biggest station in Kyushu. So you need to know which direction you need to go. both Travel Center and JR Kyushu ticket office (pass exchange office) are located at central ticket gate. So you need to go through Central ticket gate after you get off subway train. After go through subway’s Central ticket gate, you will see the stairs to JR Kyushu’s Hakata station Central ticket gate. Go up the stairs, you will see both Travel Center and ticket office on your left side. All ticket gates are connected each other. But if you go through other ticket gate, you might waste lots of time. There is no shuttle bus service between airport and downtown because it is very close. If you will stay in Hakata and look for the direct transfer to the accommodation, you need to take taxi. The fare is 1500 yen to 2000 yen. You can take city bus also to get downtown Fukuoka. But subway is faster and easier. And also there are many express bus service to many places in Northern Kyushu. Most of buses are operated by Nishitetsu Bus. If you need more information, please refer Nishitetsu bus website. 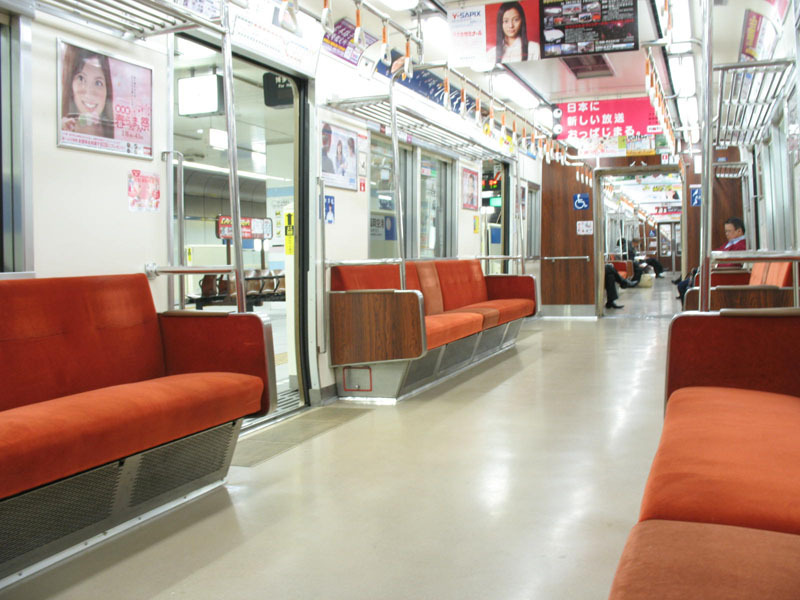 reserve seat at Hakata stn? I will go Kumamoto via Shinkansen. Do you have the timetable for April? My itenary is 2 days Kumamoto and 3 days at Fukoaka. I also plan go Beppu and mt Aso. Should i buy 3 days pass or 5 days pass? I read news that Mt Aso Jr station still close? The timetable of April will come out in the link below soon. But it will be almost same. If you can cover other than Fukuoka in 3 days, you can go for 3-day pass. Otherwise 5-day pass is the choice. Aso can be accessed from Oita/Beppu side only. You cannot reach Aso from Kumamoto by train now. Thanks for your reply. As I can’t reserve seat from oversea, I would like to check for sure I will have a seat for shinkansen from hakata to kumamoto on the day I arrive on 14 April ? Is that period is peak season? I worries as I bring my father in this trip. It’s no problem to book it. Hyperdia is a good website to use with the jr pass. Planning a trip this April and our international flight will arrive Fukuoka at around 7:15PM. We would like to catch the 8:53 PM train to Himeji (SHINKANSEN MIZUHO). We are planning to purchase a 7 day JR West Sanyo-San’in Pass. Would it be faster to take a taxi to Hakata Station than walk to the subway station from the international arrival terminal? Also, we are 4 people with luggage, can we take 1 taxi? Thank you. Honestly if I were you, I stay Fukuoka on arrival day. Because it may be too tight. It takes usually 45 minutes from arrival to getting out the airport. It will be 8:00 when you leave airport. Taxi is faster because you have to take shuttle bus to subway station. It takes 10 minutes when the traffic is smooth. And then you have to find the pass exchange place to receive the actual pass. But if your flight delay for even 15 minutes, it will be super tight. I feel it’s too risky. Of course the choice is yours. But please keep it in your mind. If you have 4 full size suitcase, you need two taxis. 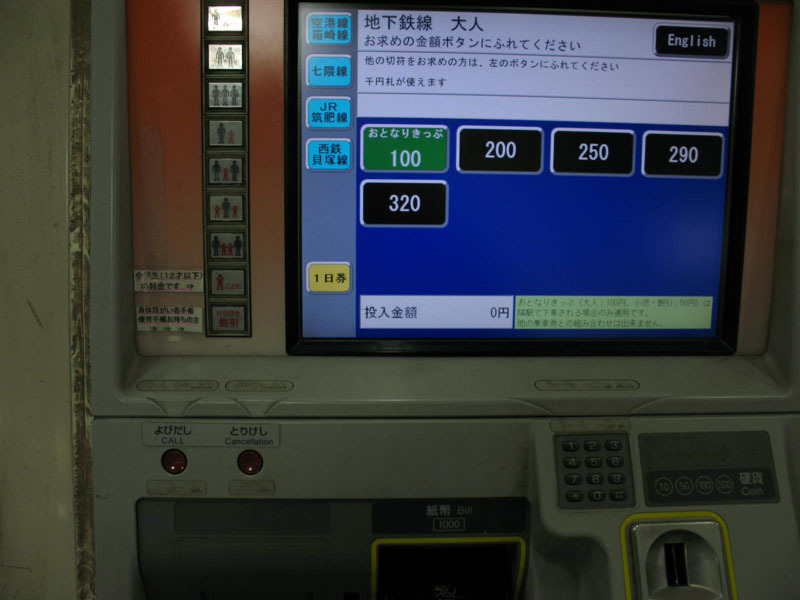 Would you know if the subway ticket vending machine from the airport accepts credit card or a whole 10,000 JPY? I am going to Nakasu Kawabata station. I don’t think it accepts a credit card. 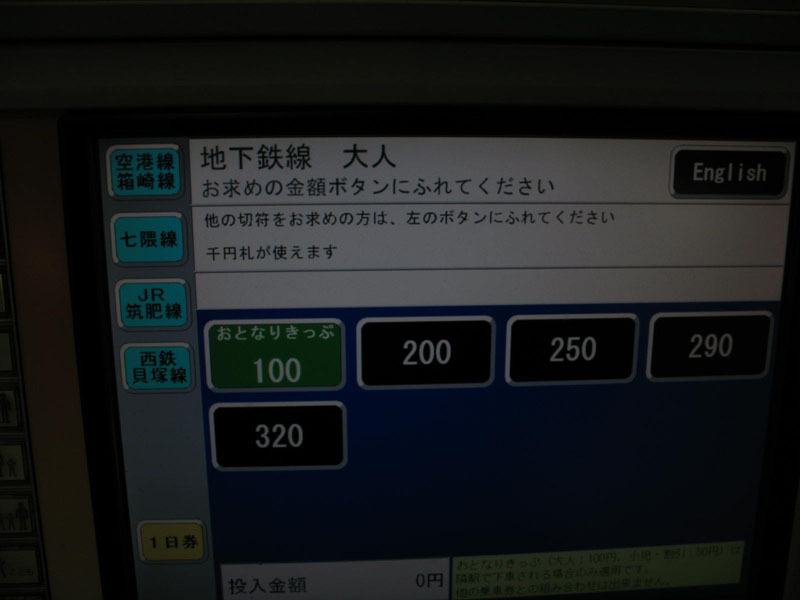 But some of the vending machines accept 10,000 yen bill. I will visit kyushu on 6th march until 9th march. 4 days 4 night. 1. Actually which one is more convinient buy 3days north kyushu jr pass with 1 day fukuoka city pass. Or 5 days north kyushu pass. 2. Actually i quite worry with early flight depature as i need to be at airport 2h ealier for internatiol departure. But the earliest subway is at 5.55 am? And subway is to domestic terminal. No international. Is it easy to get taxi as early as 5am ? 3 days northern Kyushu rail pass + Fukuoka city pass is better choice. If you will stay in hotel, you can ask a front desk in your hotel to call a taxi. You can ask it a day before if you worry about it. Good day! I am not sure if this had been asked. 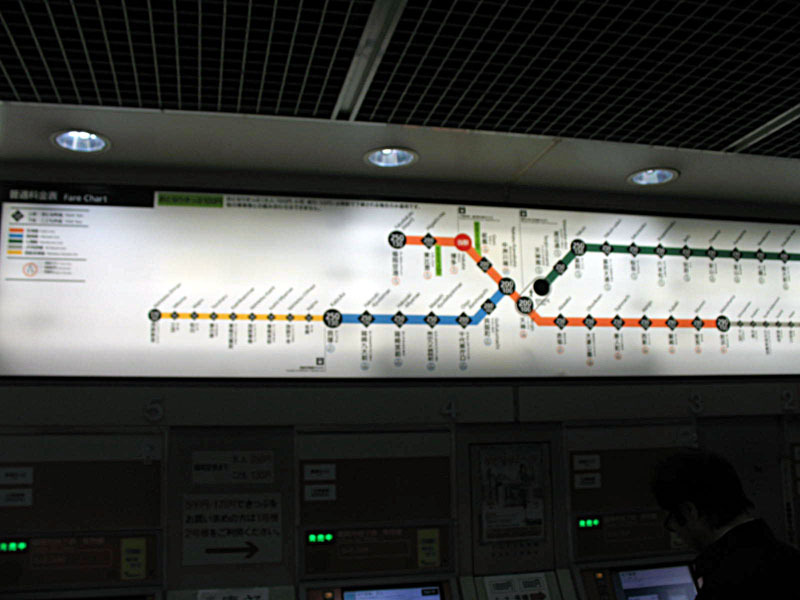 Would you please advise if there is a JR line from Airport to Hakata station? I have availed of the JR Kyushu rail pass and I am wondering if I can use this going to Hakata. Only subway and city bus runs between Hakata and Fukuoka airport. Unfortunately both are not covered by Kyushu rail pass. Hi! I just got back from Fukuoka. 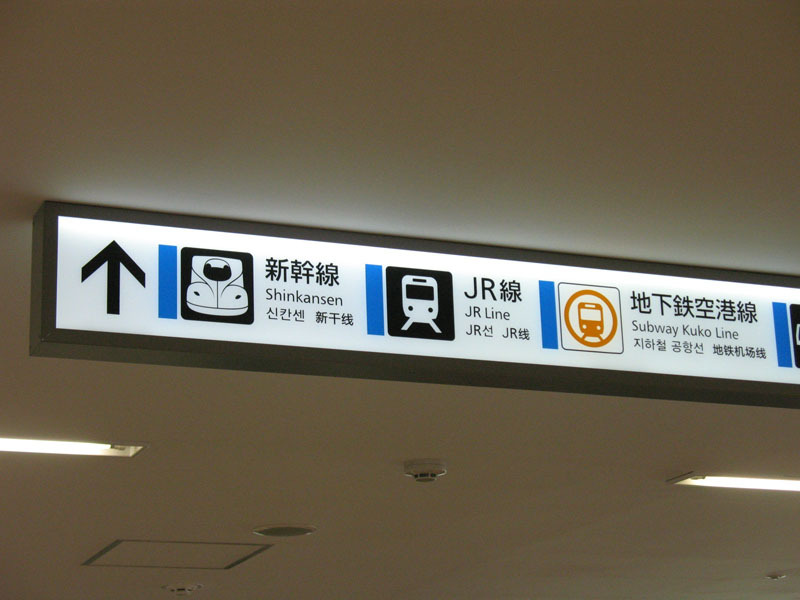 There is no JR line from airport to Hakata station. You either take the airport bus going to Hakata Y260 or subway . Any shuttle bus to downtown from the airport … I read there is but not too sure ..
Hello there, I’ll be travelling to Fukuoka by ferry from Busan in March, just want to know if there is a JR Pass exchange office in the ferry terminal? If not, how far is the ferry terminal from Hakata station and the Fukuoka airport? Also, I’m spending 3 nights in Fukuoka, where will be the best place to stay please? You cannot exchange the pass at the ferry terminal. You need to take a bus to get Hakata station and it takes 20 minutes by bus. The fare is 230 yen. Dear Takeshi san, I will be travelling to Fukuoka in October. I plan to drive around around for the 1st 4 days visiting Beppu, Yufuin , Aso and Kurokawa. I then plan to use the 3 days Northern Kyushu pass to visit Nagasaki from Hakata. Can you recommend another destination we can use the pass on? I plan to just do a day trip to Nagasaki from Hakata. Is kumamoto a good option for another day trip? Thanks. Yes. Kumamoto is the best option. My husband and I are planning to visit Fukuoka in July. It will be a short visit because we’ll only be there from the 2nd to the 7th. Where can we go and what can we do in 5 days? Please advise. Thank you! It’s tough inquiry. You can visit anywhere in Japan if you take domestic flight. Visiting some places in Kyushu is most common way. And also you can visit Hiroshima (1.5 hours one way) or Osaka (3 hours one way) by Shinkansen. Please learn the places in Japan by Japan Guide and decide where you go. Next Next post: My trip to Kyushu, Tohoku and Hokkaido in 5 days.